I got 2 new sunscreens for summertime! 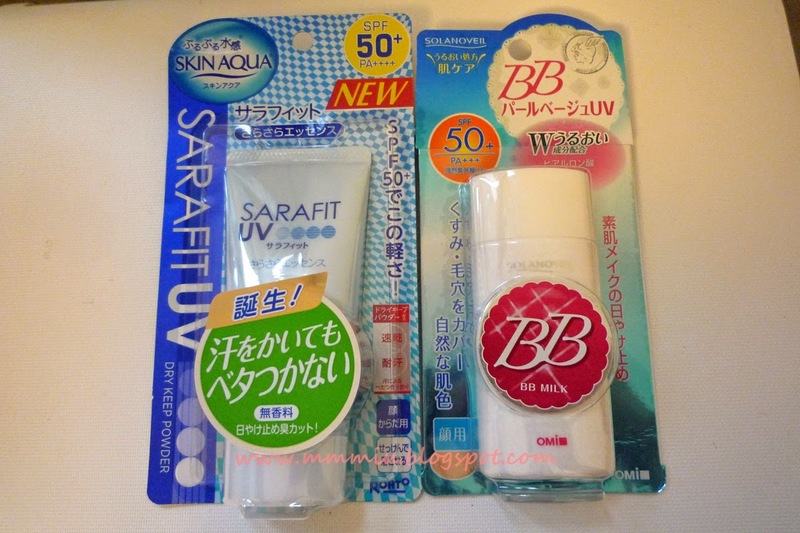 I did lots of research on which one to get and bought the Solaneveil BB Milk sunscreen and Skin Aqua Sara Fit UV Dry Keep Powder from Adambeauty. I'm a huge lover of high SPF sunscreens, even though I know it's not that big of a difference from SPF 30, it gives me a piece of mind whenever I'm using it. The biggest annoyance about most Japanese sunscreens is they don't have the expiry date. Even though Adambeauty is pretty good at keeping their selections recent, I checked Ratzilla Cosme and found out that Adambeauty only carried the 2011 packaging for the Solanoveil BB Milk sunscreen. I'll probably have to throw this out if I don't finish it this year to be on the safe side. The Sara Fit UV however, came out with this packaging in February. The Sara Fit UV SPF 50 is supposed to keep your skin dry and powdery feeling, even when you're sweating. I saw the commercial on Youtube and the sweat will supposedly bead off your skin, which it didn't on me. It did dry down to a powdery finish (I use this one on my neck) and seemed to last pretty long throughout the day without feeling sticky at all. 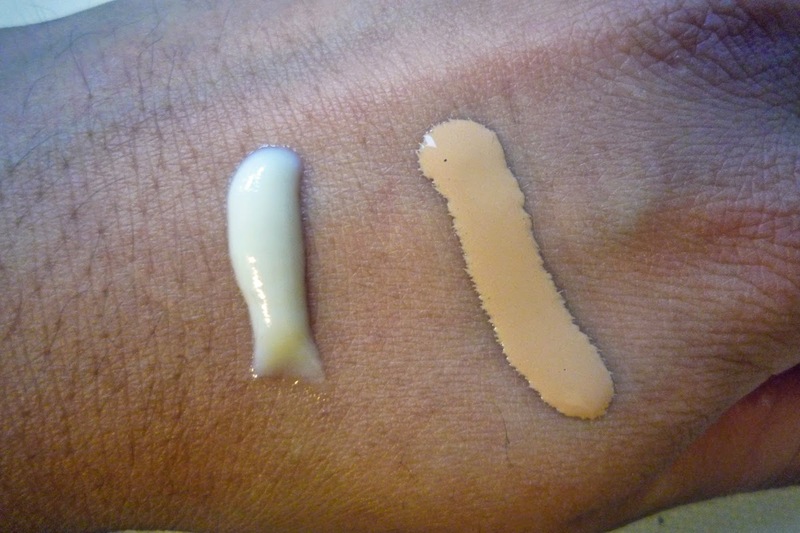 The sunscreen comes out as a white with a gel-like texture and dries down quickly on my skin. My only concern was the smell. It smelled like there was a lot of alcohol in the product, but at least there wasn't any fragrance to mask it. 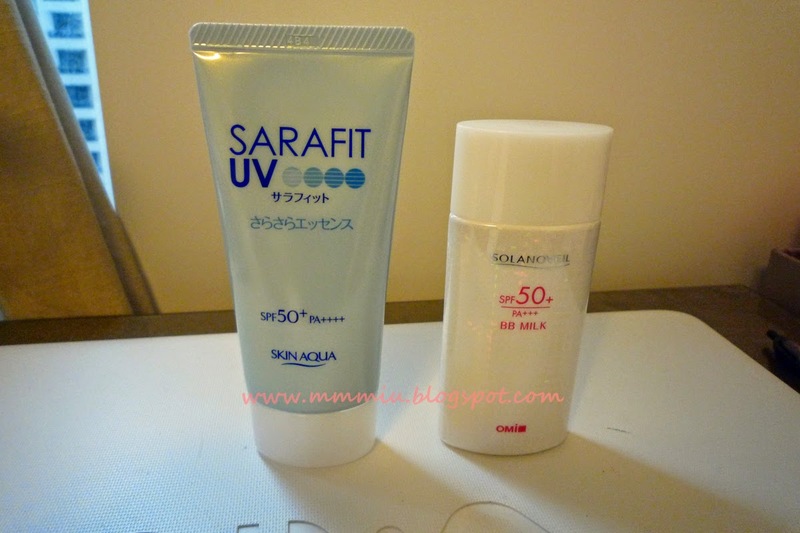 I got the Solanoveil BB Milk SPF 50 sunscreen because I wanted to use less makeup in the summer. It provided some light coverage and had a semi matte finish. I had to massage/blend it well onto my skin, otherwise it there was some streaking. It didn't cover too much, it just evened out my skin slightly, so I just brush a bit of powder foundation on top for a bit more coverage. The texture is very liquidy, so applying it on sections of my face makes it much easier to control. I think there's quite a lot of alcohol in this product too because I noticed by nose looked a bit dry after using it, plus it dried down pretty quickly. This product is supposed to be water and sweat proof, but I haven't actually tested it while swimming.